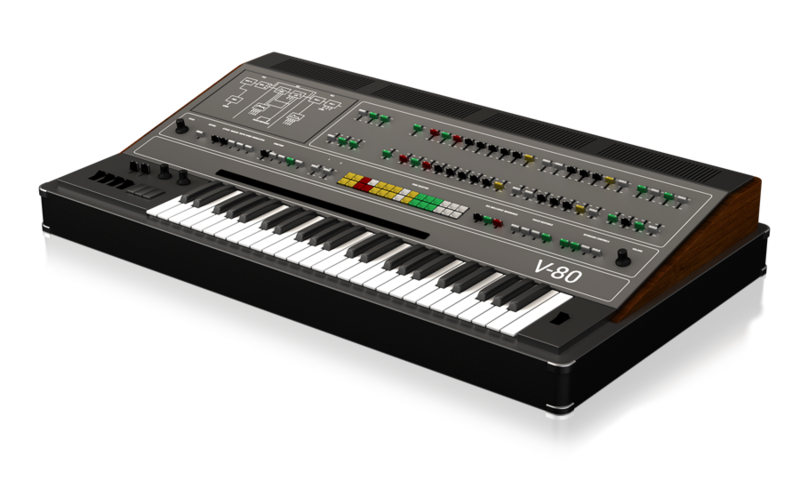 The Syntronik V-80 is based on the classic Yamaha CS-80, GX-1 and CS-01 synths. Manufactured from 1976—1980, the CS-80 was Yamaha’s flagship take on the analog polysynth. 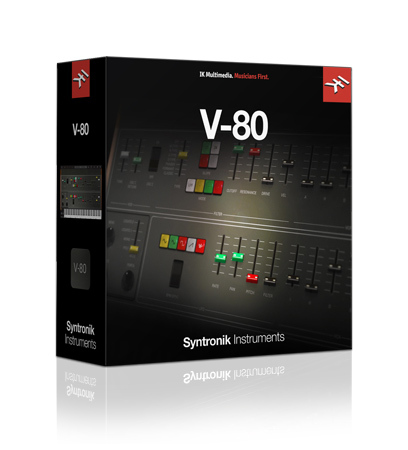 The CS-80’s voice architecture is an exercise in layering, filtering and modulation. Each selectable-shape oscillator has its own high pass and low pass filter and envelope controls. The sound is fat and organic, and even the slightest introduction of the resonant high pass filter can add a phasey quality to the instrument that gives it even more depth. Some examples of its unique sound can be heard in "Blade Runner" and "Mutiny on the Bounty" by Vangelis as well as "Dune" by Toto. The GX-1 is not exactly 2-1/4 CS-80 synths, but that comparison is a good place to start. Manufactured in extremely small quantities at an enormous price tag, it was only used by the most premier artists in the late 70s such as Keith Emerson, Stevie Wonder, Led Zeppelin’s John Paul Jones and ABBA’s Benny Andersson. The unit sampled for Syntronik belonged to John Paul Jones, then Keith Emerson, then film composer Hans Zimmer before being sold to two other owners. By contrast, the tiny CS-01 is a simple single oscillator monophonic analog synthesizer with a selectable shape waveform going into a 4-pole resonant filter. It has a single LFO, single envelope generator and is a highly musical-sounding synthesizer despite its diminutive size.